Made abusive and/or degrading comments towards you. These are only examples as the list of potential circumstances is endless as employers and employees are bound to not only the written employment contract, but also the implied terms of the contract. When making a claim for Constructive Dismissal, it is important to be fully informed on all the steps that you should take before officially making the claim. You must have been under their employment for 2 years. Otherwise, your claim will fail as you will not qualify to make this claim. If you do qualify, you must give your employer ample time to respond to your grievance letter. However, you need to be aware that if you wait too long and fail to receive a response, this can go against your claim as well. Therefore, there is a delicate balancing act which the tribunal expects you to take part in order to have exhausted your options before making the claim. Once you submit your claim, your employer has 28 days to respond. If the Tribunal considers the facts and decides that there is a fundamental breach of contract, then the employee will be granted Constructive Unfair Dismissal and will be entitled to compensation. If the Tribunal decides there is no breach, or that it was not severe enough for it to be considered unreasonable, then the employee will be at a loss. 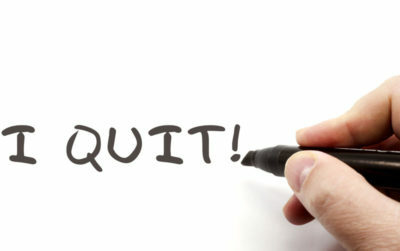 Constructive Dismissal is a very difficult and often a very personal claim to make as this means leaving your employment. At Bloomsbury Law, we understand that every case is different. If you are looking to make a claim for Constructive Dismissal please contact us. We will confidentially discuss your situation and provide you with expert advice to ensure you the best possible outcome.